With baby #2, I decided to go against the grain once more and try Baby-Led Weaning (BLW). Cuz that’s how I roll. Once you nurse your baby past a year, cloth diaper, and make babyfood, you’re pretty much labeled a nut or a hippie, so you may as well go all out. No, really, the truth is that I had read a little bit about it on various blogs, enough to pique my interest. It sounded like a great way to create healthy eating habits for little ones. And I really am up for trying new things with my kids, provided I have the time needed to properly research the technique and make sure it works for our family. 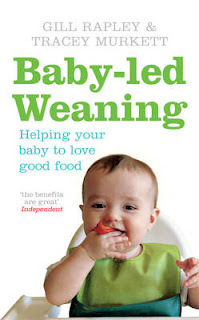 The term weaning refers to giving anything to your baby that is not breastmilk or formula. With typical weaning, parents begin spoonfeeding cereal and pureed fruits & veggies to their little ones starting anywhere from 4-6 months. The current AAP recommendations are that while it is best to wait until 6 months, it is acceptable to begin 4 months. Our pediatrician says that he expects the AAP to come down more firmly on the 6 month issue in the near future. BLW is incredibly popular in the UK and is quickly gaining popularity here in the US as well. That said, I don’t know anyone else who has followed this method of introducing solid foods. The short explanation of BLW is that you skip the purees and go straight to finger food. Contrary to what Gerber would have you believe, babies as young as six months are capable of chewing and sucking fruits, vegetables, bread, and meats. Moms have actually been doing this for ages, but not really talking about it. In a way, it’s the “lazy” thing to do. But I don’t mind feeding my baby the lazy way. I do enough hard work around my house that I could care less if anyone thinks I’m lazy. My house is clean and my kids are happy. Go ahead & call me lazy. But I digress. The BLW approach is pretty hands-off. Simply put food on the babies high chair tray and let baby eat. At first, the baby may just play with the food or taste it and spit it back out. 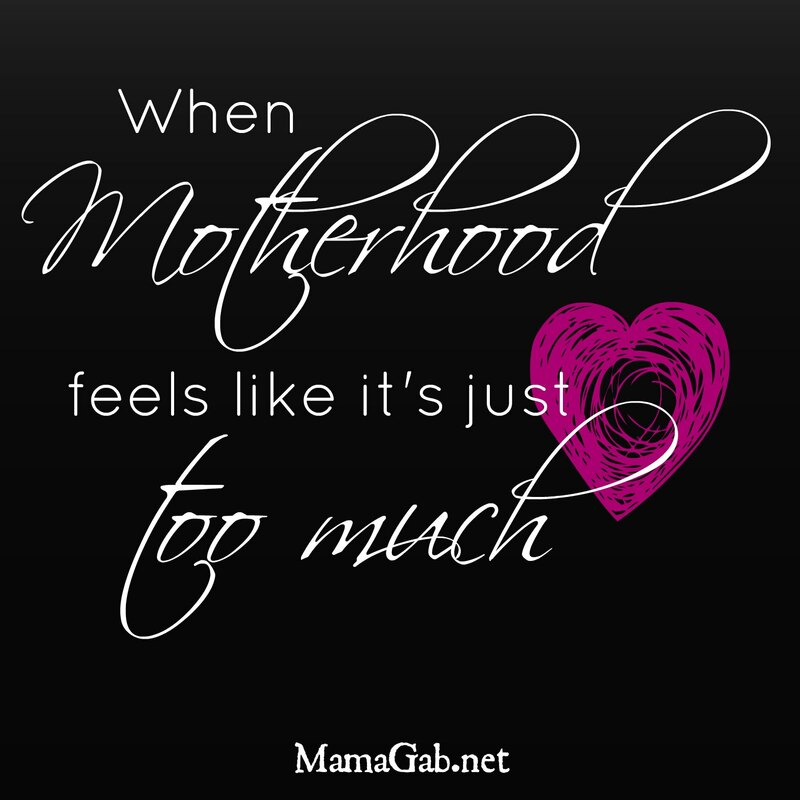 But with time, babies get the idea and really love feeding themselves. With BLW, there is much less emphasis on how much food the baby eats. Instead, the emphasis is on experience. It’s important for baby to sit with the family at meal times, exploring and playing with food until he decides that he is ready to join in the fun too. If the six month old eats a little and spits it back out, there’s no need for concern. Six month olds should still get the bulk of their calories from milk feeds. Slowly, over the course of the next six months, baby will begin eating more and more food, slowly trading milk feeds for solid feeds. But he’ll do it in his timing. BLW also encourages baby to eat the same things as the family, which should make it much easier to prepare meals for the baby, especially for those of us who aren’t big on store bought purees. The authors even advise letting baby simply grab food off the parents’ plates. Another huge aspect of BLW is that only baby puts food in his mouth. This allows him to guide the whole process and respond to his internal cues of fullness. Current thinking is that parents should not encourage children to make a “happy plate” by eating everything they’ve been served. Pediatricians and researchers believe that this can lead to eating disorders, both obesity and anorexia. So BLW says that parents simply offer healthy meals and let baby feed himself. When he’s full, he’ll stop eating. I found BLW to be a very thought-provoking book. I enjoyed it and felt much of it to be very wise. At the same time, other parts were “pie in the sky” to me. In other words, they were completly unrealistic. For example, take food allergies. Common practice is to follow the four day wait rule when introducing new foods to your baby. My pediatrician advises waiting a full week between introducing new foods! This enables mom to watch baby for any adverse reactions to the new food. BLW says not to worry about waiting between foods. Babies tend to avoid foods that they are allergic to. They cite examples of babies who didn’t want strawberries, and mom later learned that they were allergic to the fruit. Really? My son loved bananas. He pigged out on them one day for lunch, and I was happy because they’re such an easy food to give babies, especially when traveling. He broke out in a rash, but that’s nothing new. Andrew’s a rashy kid with sensitive skin like his mommy. But guess what he did at naptime. He vomited bananas. Really. I don’t know if it’s an allergy or an intolerance, but I’m hoping it’s just an intolerance that will be outgrown. We’ll try again soon. Some of the results that are billed as BLW’s selling points can also be achieved by other means. I think your child might be more likely to love healthy foods, handle new textures and tastes, develop a positive attitude towards food, and gain better appetite control through BLW. But I also think those same objectives can be obtained with traditional purees too. How is BLW working out for our family? We love it. We absolutely love it. It’s so easy. I cut food into finger-like strips and put it on Andrew’s tray. He feeds himself while I eat my meal. Easy as pie. Andrew loves food. At lunch today, he and Izzy shared a peach. He ate one half while she worked on the other (and a sandwich), but she couldn’t eat all of hers, so he ate what was left, as well as sweet potato strips too. And that was after a milk feed. AND he’s only 7 months old! I’m not ready for Andrew to eat off my plate or eat the exact same meals as us yet. I’m still at the stage of introducing new foods and waiting for his reaction. BLW doesn’t advise this, but I’m doing it anyway because I’m more cautious than perhaps other parents would be. But soon, as more foods are introduced, we’ll be ready for him to eat the exact same meals as us. I can see that happening in the next month or two. If you’re trying to decide if BLW is for you, definitely get the book so that you can get a good idea of the logic behind it. There are also a few safety issues that the authors will warn you about. For example, babies tend to “chipmunk” food in their cheeks, so it’s important to check their mouths before putting them down for a nap or strapping them into a carseat, where it can present a choking hazard. Andrew loves peaches, sweet potatoes, rice cakes, toast, broccoli, avocado, carrots, green beans, rice cereal, and blueberry muffins. And Olive Garden’s breadsticks, but who doesn’t like those? He was indifferent to chicken. And he’s only been eating for one month! It’s all I can do to wait a few days before introducing something else, because I know he will love anything I put in front of him. I have no idea if he loves food because we’re doing BLW or because he just loves to eat. Regardless, this is a really fun way to feed him and it’s easy on me, so it’s definitely a win-win situation. What are your thoughts on BLW? Any ther BLWers out there?